Don’t Allow Cockroaches to spoil your business! A cockroach control and prevention program is essential to the success of your business. Since each and every facility is different, Professional Pest Management will create a plan tailor-made for your facility. 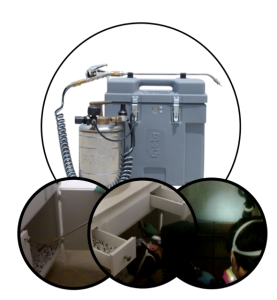 We will use a combination of exclusion, good sanitation and good methods to ensure the safety of your facility. What methods work the best? 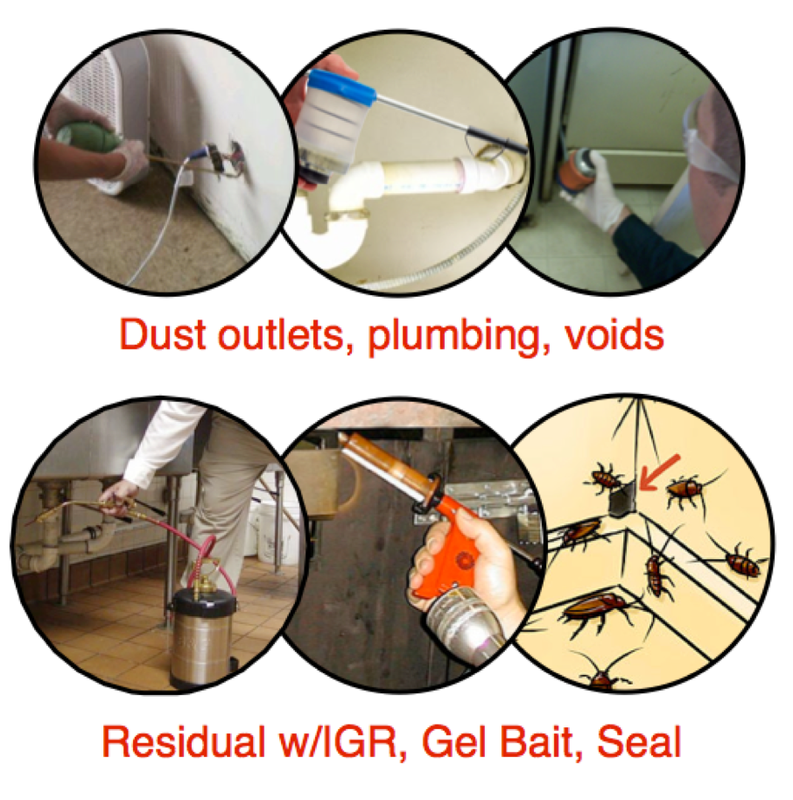 For facilities having a roach infestation we will use three methods to begin your cockroach program. We will use an aerosol product to flush out the roaches hiding in cracks and crevice. Then we will dust voids and areas where dust is effective. Last, but not least, we will put out a residual liquid application barrier that will give you lasting control. Bait pucks and gels are great when there are active infestations. 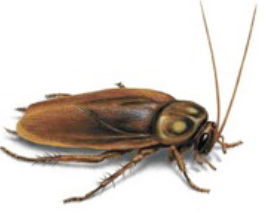 Different baits and gels allow cockroaches to eat and carry the chemical back to the colony to share the bait and help kill off the colony of cockroaches. 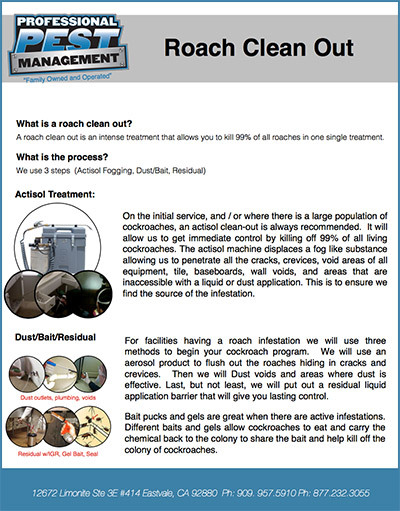 On the initial service, and/or where there is a large population of cockroaches, an actisol clean-out is always recommended. It will allow us to get immediate control by killing off 99% of all living cockroaches. 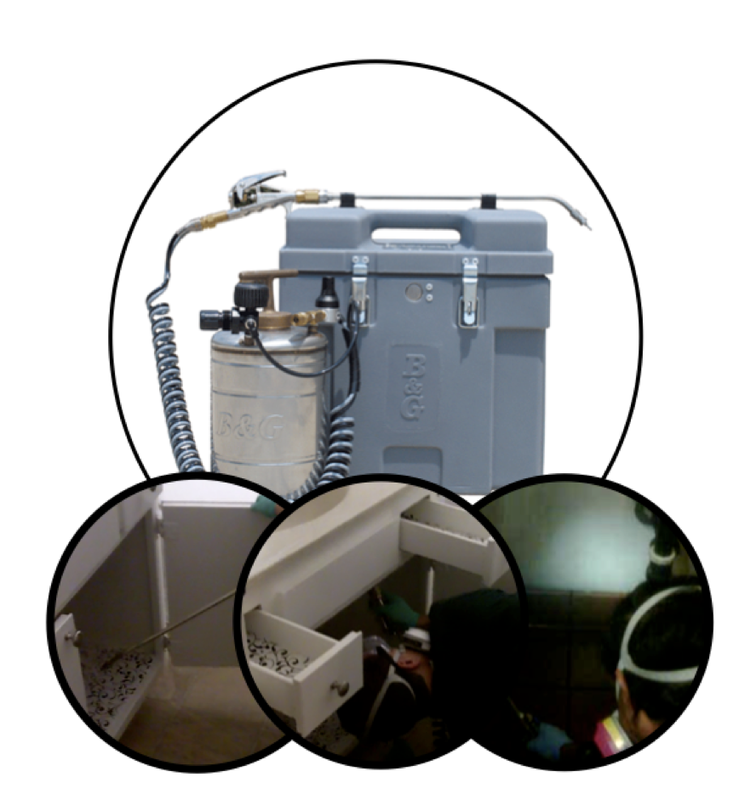 The actisol machine displaces a fog like substance allowing us to penetrate all the cracks, crevices, void areas of all equipment, tile, baseboards, wall voids, and areas that are inaccessible with a liquid or dust application. This is to ensure we find the source of the infestation.